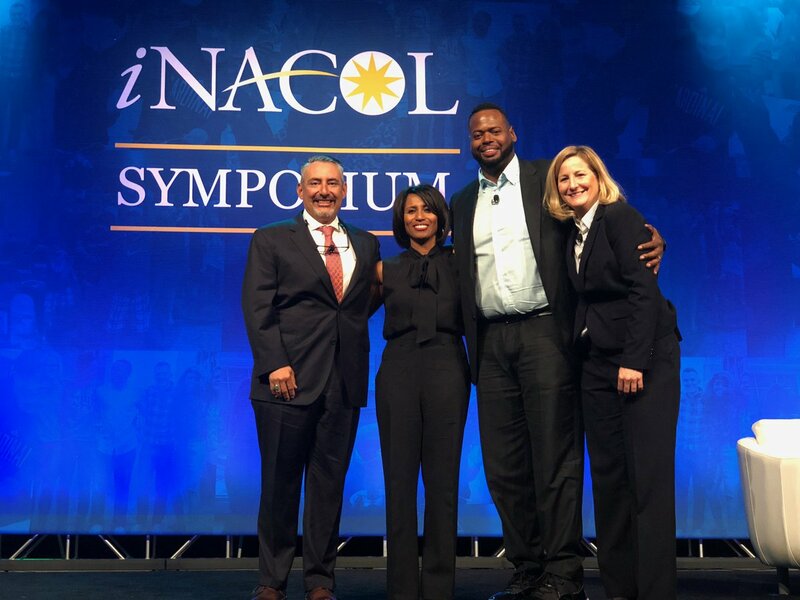 In late October, more than 3,000 educators, district and charter leaders, nonprofit leaders, and education innovators descended on Nashville, TN to attend iNACOL’s 2018 Symposium “Driving the Transformation of Learning.” iNACOL, a New Profit grantee-partner in our Personalized Learning initiative, accelerates the transformation of learning through advancing breakthrough policies and practices to ensure high-quality personalized and competency-based learning for all. As a part of this work, they provide a one-of-a-kind annual opportunity for educators nationwide to come together in the country’s largest community of practice, building the movement to fundamentally shape the future of learning for all learners. iNACOL kicked off with a powerful performance from young people and with Susan Patrick, CEO of iNACOL, sharing her powerful vision for what is required to change the system—she proclaimed “this is about disrupting the system” and shared that while some in education see the role of schools as keeping kids in seats or filling kids who are “open vessels” with knowledge they don’t yet have, she believes that education’s purpose is to ensure that young people are ready for the future—that education is a public good and must be designed for the needs of all learners and for the needs of our communities in the future. Phyllis spoke to her vision that education is about connection to opportunity and freedom but for too many, that connection is broken. Phyllis sees personalized learning as the opportunity to access student’s untapped greatness—providing rigorous academic content while recognizing each students’ unique strengths and needs is the foundation of an equitable education system. Carlos shared his and Big Picture Learning’s belief that vulnerability and knowing individual students’ stories is required for fostering successful learning environments, stating that “the first step to transformations is to know the stories of our students” and that in fact “vulnerability is good pedagogy”. Many in the room were moved to tears and left reflecting on how the work of caring for and educating our young people is truly the work of the heart and the soul. Check out the opening keynote HERE. iNACOL also marked an important moment for one of our personalized learning grantees, Highlander Institute, whose Chief Education Officer Shawn Rubin and colleague Cathy Sanford released their new book Pathways to Personalization: A Framework for School Change. The book’s practical five-step handbook helps school leaders and educators design and implement personalized learning practices in their schools based on their own school’s needs and context. This book represents significant learnings from Highlander’s unique history in blended and personalized learning and makes these learnings accessible to educators nationwide. And so many more…our grantees participated in over 30 presentations over the course of the iNACOL symposium and in many cases they presented together! The grantee-partners from our personalized learning cohort shared their leading voices and perspectives on the key levers for change that are required to fundamentally transform the future of learning for our young people. 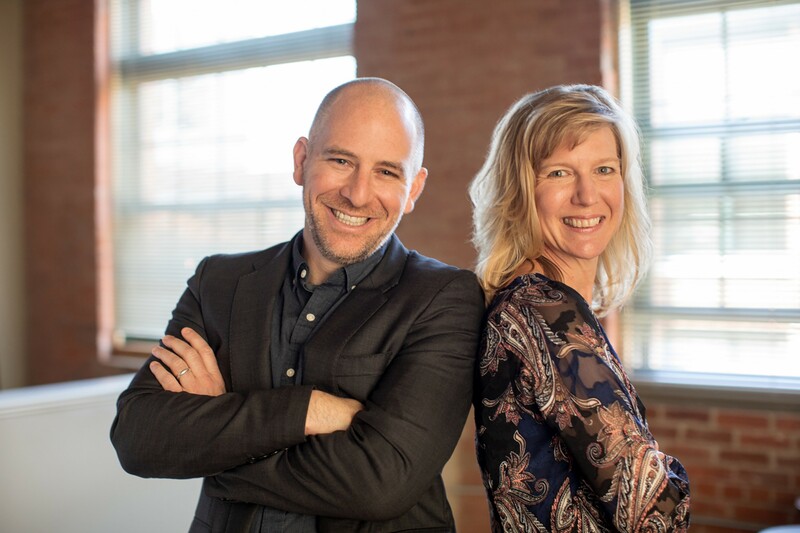 New Profit is grateful to learn from and support this cohort of grantees and are excited by all that they do to continue to shape the future of learning in our country.